On 6th January 2018, the Sisters Servants of Mary of Swaziland celebrated an extraordinary event whereby two Sisters were celebrating a Golden Jubilee and another one a Silver Jubilee. The crowning moment of the event was the first profession of Sr. Temndeni Mndzebele who took the name of Teresa of Avila as her patron Saint. 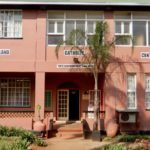 The Golden Jubilarians are Sisters Paulina Nyawo from Mafutseni under the St Joseph’s Parish and Veronica Moabi from Thokoza in South Africa under the Parish of Our Lady of Mount Carmel. 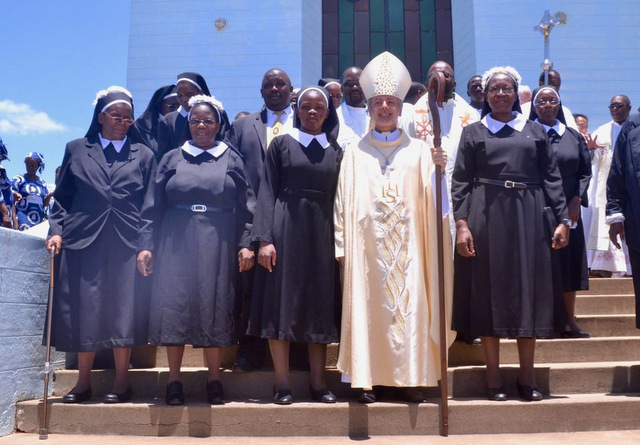 The newly professed Sister Teresa is from Christ the King Parish at Nhlangano while the silver jubilarian is Sister Patricia Mkhonta from St Peregrines Parish at Bulandzeni. Sister Teresa is the dawn of the new era as it has been a long period of drought in the formation houses of the Sisters Servants of Mary. The main celebrant of the Mass was His Lordship Bishop Jose Luis Ponce de Leon, the current Bishop of the Diocese of Manzini. In an event of this magnitude, he wouldn’t be alone as a large number of the Clergy serving under His Diocese were also present. 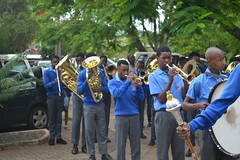 The celebration drew the attention of many witnesses as Sister Matilde, a Servite Sister from Mozambique was also present as well as a large group of lay people from the Parish of Our Lady of Mount Carmel. 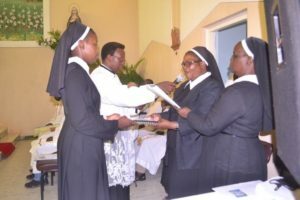 The association of the Children of Mary was also present as they had to accompany their companion as she took a wild leap of faith into being introduced to the faithfuls as a Sister. Sister Cecilia Dlamini was very handy during the vesting of the new Sister Teresa. Many good hearted people assisted the Sisters Servants of Mary during the preparation of the celebration. The SCCW was part of the special donors as they donated with vital food items that were used to give joy to the witnesses of the celebration. Each of the celebrating Sisters was blessed with a moment of cutting a cake with His Lordship Bishop Jose Luis. The epiphany of the Lord was a truly special day to the Sisters as the courage of Sister Teresa will definitely inspire some young girls to fall in the same pathway of those who have dedicated their lives to Christ, just like Sister Teresa.